After my brief flirtation with possibly the least inspiring nom-de-plume in history, I have now triumphantly reclaimed my name as my own. So long, A.H. George, we hardly knew ya. One consequence of this exciting news is that I have changed (with help from webmeister Boomer, naturally) addresses for this blog. Its home, as you’ll see from the top of the page, is now alexgeorgebooks.com. I understand that www.ahgeorge.com still works for the moment, but won’t for much longer. So please take note, and I’d be grateful if those of you kind enough to link to my ramblings would change your links the new address. 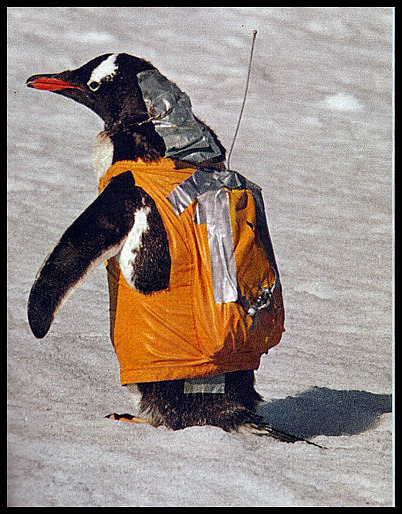 PS: yes, that is a photo of a gentoo penguin wearing a backpack. No, I’m not quite sure what it’s doing there, either.